A Hep2O manifold is a single fitting which brings together multiples of 10mm pipe, on the flow or return pipework, to one area of a building, enabling easy access. 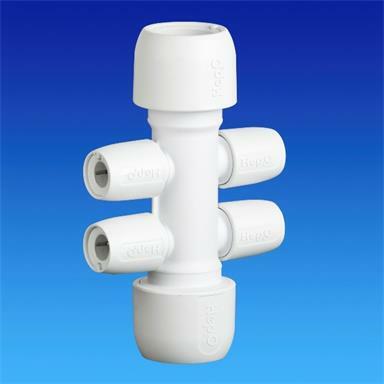 Hep2O 10mm manifolds are particularly suited to microbore plumbing and designed primarily for use in central heating systems but can also be used for hot and cold water supplies. Reduce the number of fittings required to connect 22mm pipe to 10mm and cut installation time. Enable pipe to be suspended between joists without fear of it being dragged down. Hep2O blanking pegs can be used to close off any unused sockets. Note: All Hep2O fittings are pre-lubricated - no additional lubrication required, and fully compatible with Hep2O and copper pipe. In4Sure® joint recognition – tells you when the pipe is fully inserted. Secure demounting with the new HepKey® system - innovative pipe release system. New SmartSleeve for easy pipe insertion. Hep2O is Kitemarked to Class S of BS 7291, parts 1 and 2 and is manufactured within a Quality Management System which satisfies BS EN ISO 9002. 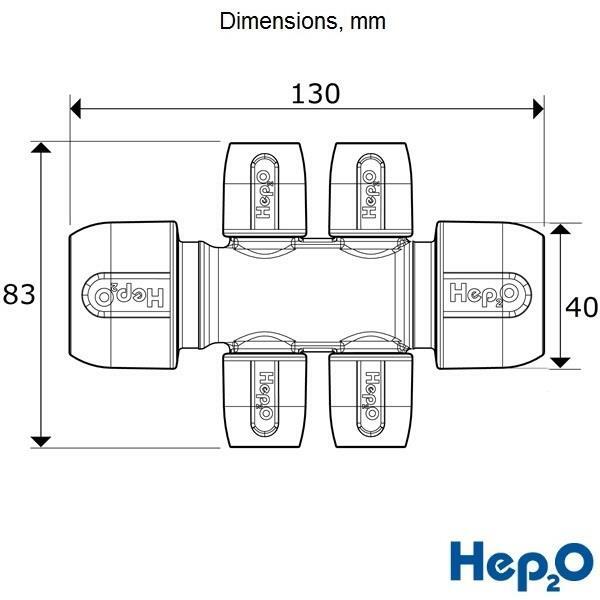 Hep2O is also approved by WRAS - deemed safe for use in the supply of drinking water. Hep2O Guarantee - As a result of its rigorous Quality Management programme, Hep2O carries a 50 year guarantee against defect in materials or manufacturing of all its pipe and fittings.